(Natural News) Maintaining brain health through the aging process is a top concern these days. Alzheimer’s disease is estimated to affect one out of every three senior citizens, and is currently the sixth leading cause of death in the United States. But there are many ways in which a person can reduce their risk of neurodegeneration as they age, like healthy eating. Good nutrition is one key aspect to the prevention of many life-altering diseases and conditions, including type 2 diabetes, heart disease and even cancer. It comes as no surprise, then, that nutrients offer similar protective benefits to the body’s most important organ: The brain. Pyrroloquinoline quinone, or PQQ, has recently become of interest to the scientific community, thanks to its impressive brain-boosting attributes. PQQ has been shown to offer many brain-boosting benefits in clinical studies. In 2017, a study using animal models for Alzheimer’s disease found that giving mice a proprietary supplement made with PQQ yielded astonishing results. The supplement group exhibited increased learning capacity and had better recall than their peers who did not get a supplement. The supplemented group also displayed better cognition and motor skills compared to the unsupplemented mice. When the researchers examined the mice’s brains, they found significantly smaller deposits of toxic proteins in the brains of the supplemented animals indicative of protection against neurotoxicity. Past research has also shown that PQQ is beneficial in the instance of Parkinson’s disease. 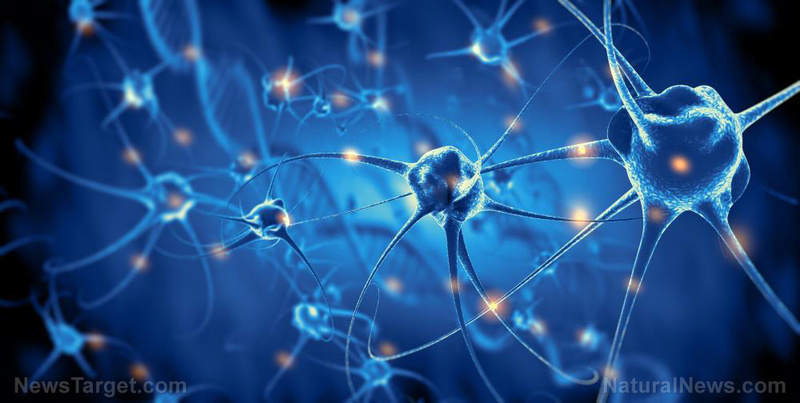 Life Extension reports further that in mouse models of Parkinson’s, PQQ helped restore brain cells’ mitochondrial functions and reduced brain cell death. These effects helped reduce the abnormal movements that are characteristic of the disease. As Natural Health 365 reports, studies have also shown that PQQ can help increase blood flow to the brain. Forty-one healthy seniors took part in a clinical trial, where they were either given a 20-milligram PQQ supplement or a placebo daily for 12 weeks. At the study’s end, scientists found the supplement group had substantial gains in their ability to focus, as well as their working memories. PQQ is able to exact many of these benefits through its effects on cell mitochondria. Mitochondria are an organelle found within a cell, and they are most known for their responsibility in energy production, but have other many other functions as well. Natural Health 365 describes PQQ as a “vitamin-like antioxidant nutrient,” and states that by supporting the function of mitochondria, PQQ is able to decrease brain aging. More, the nutrient has been shown to encourage mitochondrial biogenesis, a process in which new mitochondria are created. This means PQQ helps increase the “population” of mitochondria, as well as enhancing the function of existing organelles. Additionally, sources report that “PQQ activates nerve growth factor in brain cells, thereby supporting healing processes in the brain and helping to maintain brain ‘plasticity’ – which is vital to learning and memory.” It is posited that trough these mechanisms, PQQ is able to reduce cognitive decline. In diabetics, PQQ has also been shown to help combat the disastrous effects high blood sugar has on delicate blood vessels. According to Natural Health 365, most experts recommend taking 20 mg to 40 mg of PQQ daily for the purpose of protecting against cognitive decline and support healthy mitochondria function. PQQ may also be recommended for an array of other uses, including to promote better sleep, boost energy, reduce LDL cholesterol, and decrease inflammation. But before beginning any new supplements, it is best to first consult with your preferred healthcare provider. Learn more about staying healthy as you age at Longevity.news.